Check your Talk N Text load or promo balance for free? 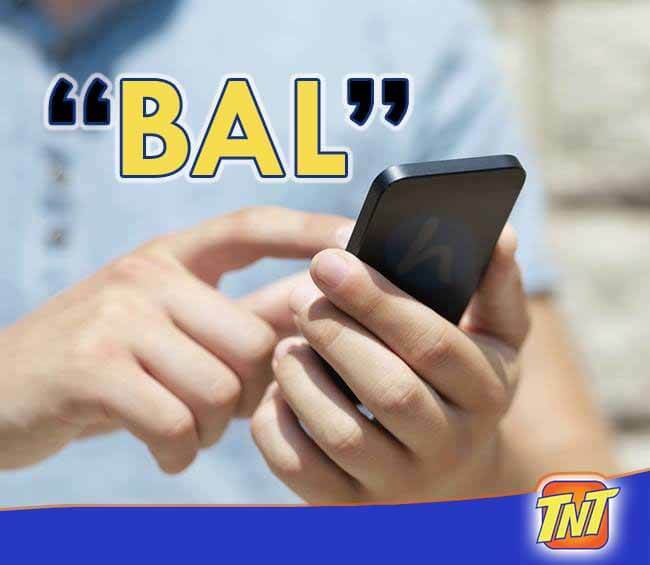 If you want to know and inquire the remaining load on your TNT prepaid account, you have options to do it via text, call and online. We already posted how Talk N Text subscribers can check their remaining load balance on our previous post. It’s now time to update and add more options on how to inquire balance using your TNT SIM. You can inquire free charge or if you have enough credits on your account try the chargeable method that cost P1 per successful inquiry. The first method to do a balance inquiry in TNT is via text and it’s free. This is the most use format to inquire your remaining load balance. Just text ?15001 or ?15005 then send to 214. The other way to inquire via text is through the TNT SIM menu. You will receive your account balance information via text after a few minutes using this method. On your phone, look and select Talk N Text Menu / TNT SIM Menu then choose the Balance Inquiry option. Inquire your remaining load balance via call. This method is chargeable per inquiry. Just dial 15001 using your phone and you will receive a message containing the details of your balance. Another way via call can be done via hotline and using your mobile phone. This may require load balance / postpaid plan registered account to initiate an inquiry. Using your mobile phone, just dial *888. For landline users just dial 02-888-1111 then follow the voice prompt for balance inquiry. The last two options are via online, you need an internet connection using mobile data or Wi-Fi to this method. Register your TNT mobile number at https://my.smart.com.ph. You need to complete the registration and confirm via SMS code. Another way is via TNT mobile app, you need to download the app and link your TNT mobile number. Just download the TNT on app store, open the app and you’ll see the balance on your screen or dashboard.